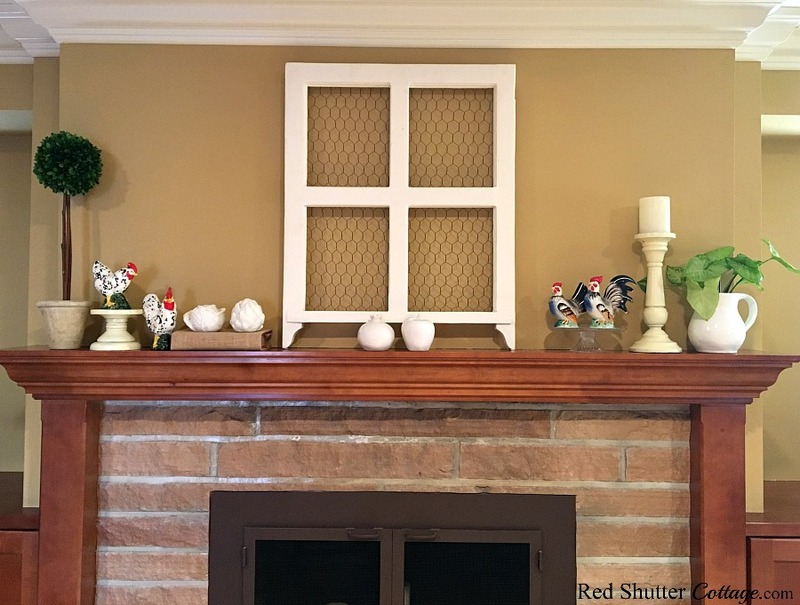 Having a mantel is both a delight and a responsibility. 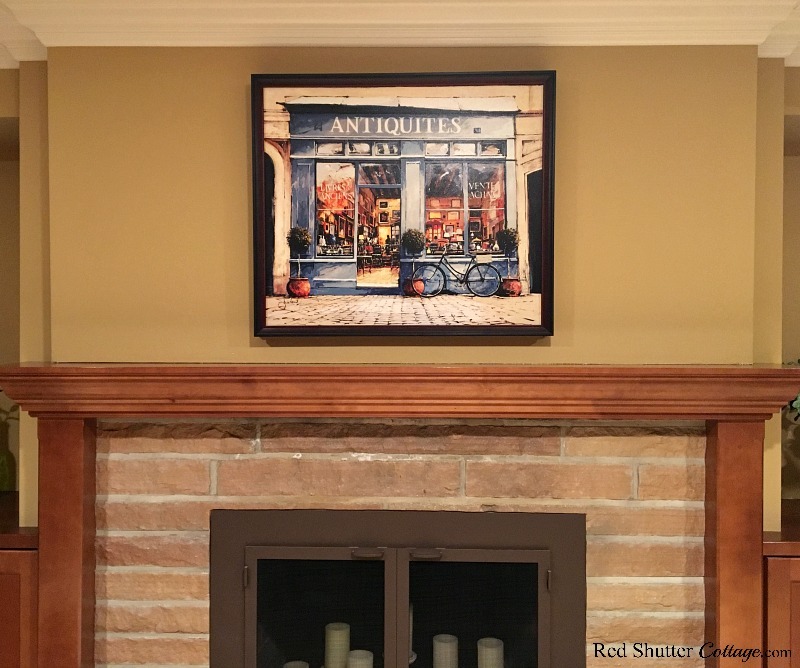 Mantels are delightful because, as a rule, they are the crown of your fireplace, and are easily the focus of the room. They are a responsibility because…they are the focus of the room! 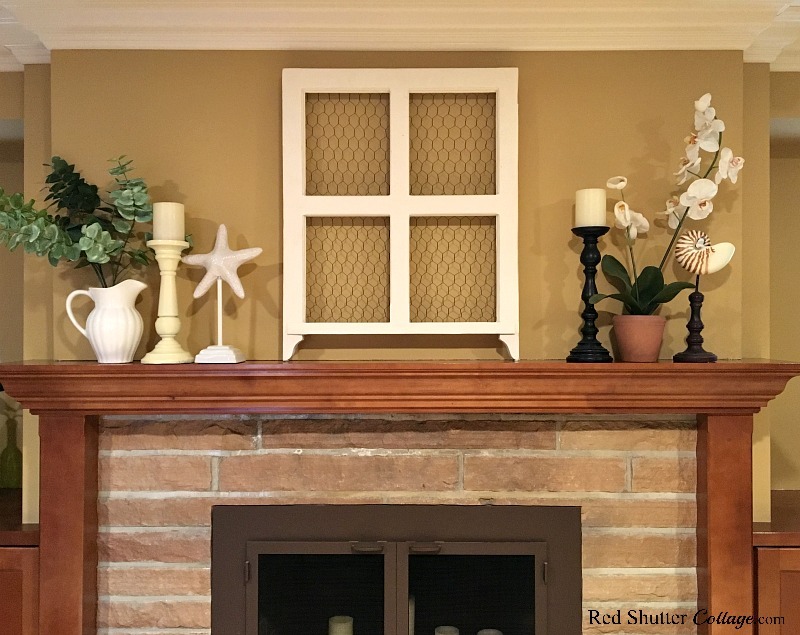 A mantel can be a huge part of making your home feel warm and welcoming. Because beauty in your home is important to you, creating a welcoming ambience is not just for friends, guests, and visitors. It’s just as important for you personally, your family and everyday living. 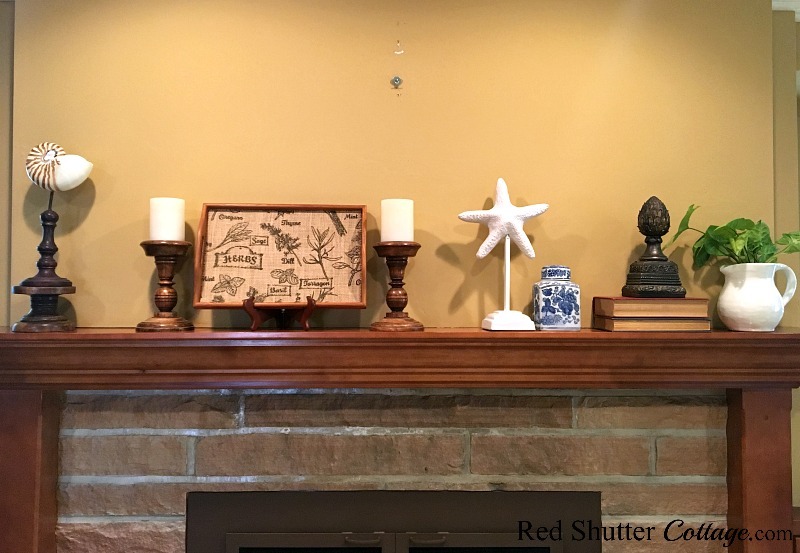 A critical component of any mantel display is you! Your style, your mementos, your collections, your seasonal favorites. In other words, your mantel display is a reflection of you, and your sense of beauty, balance, and presentation. 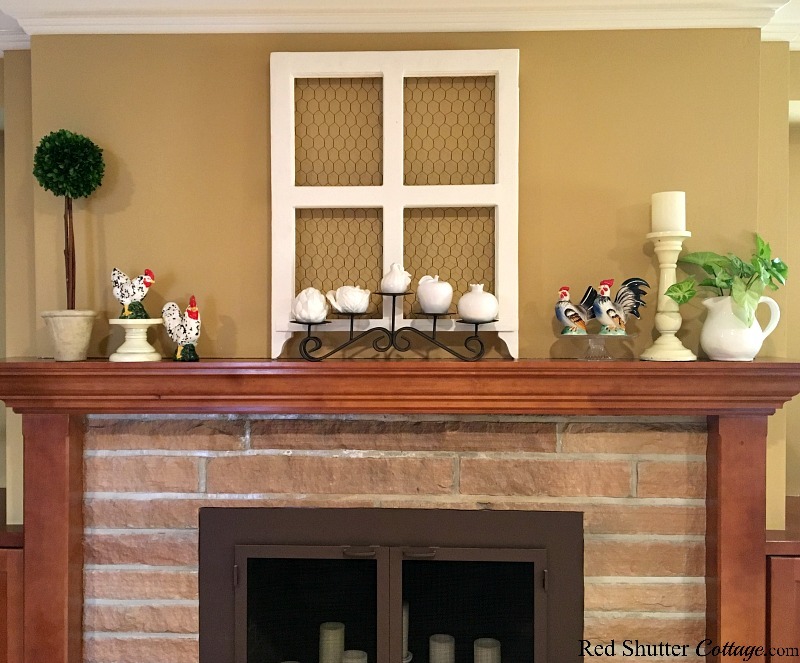 Keep in mind that principals for vignettes also apply to building a mantel display. Those principals are color, texture, size, depth, and height. The first step is to start with a blank canvas. 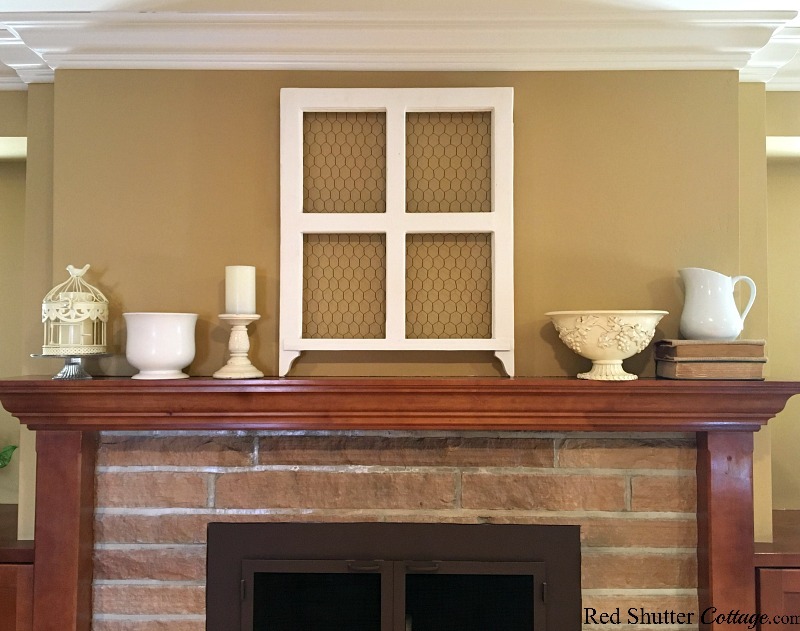 Literally, pull everything off the mantel, dust it and polish it if needed. Clear off the hearth as well, because it all works together. #1 There is no focus point. 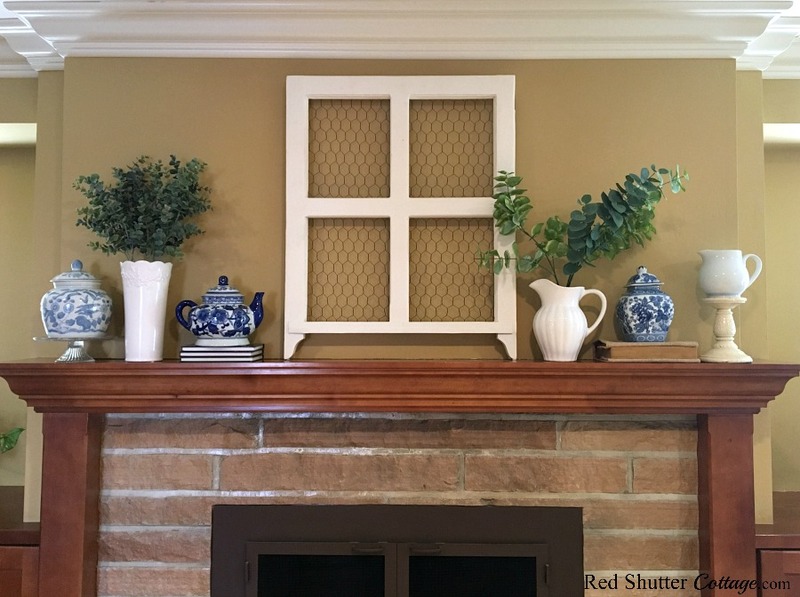 Your mantel is the focal point, but it needs its OWN focus point. 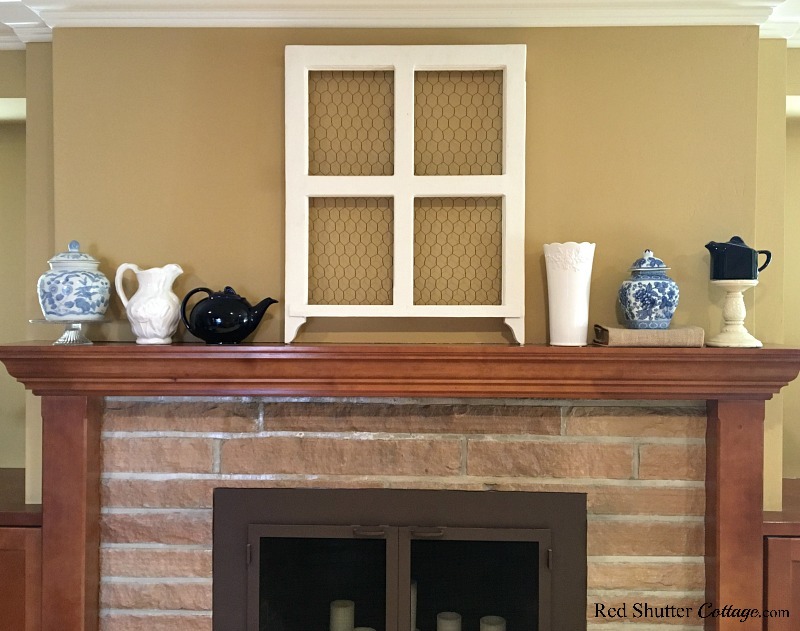 Even if the mantel is filled with beautiful pieces, without a specific focus point, nothing will really stand out. REMEDY: Creating a focus point is typically achieved by putting something in the middle. Use a painting, a basket, a mirror, a window frame. Even just an empty, oversized picture frame will do. 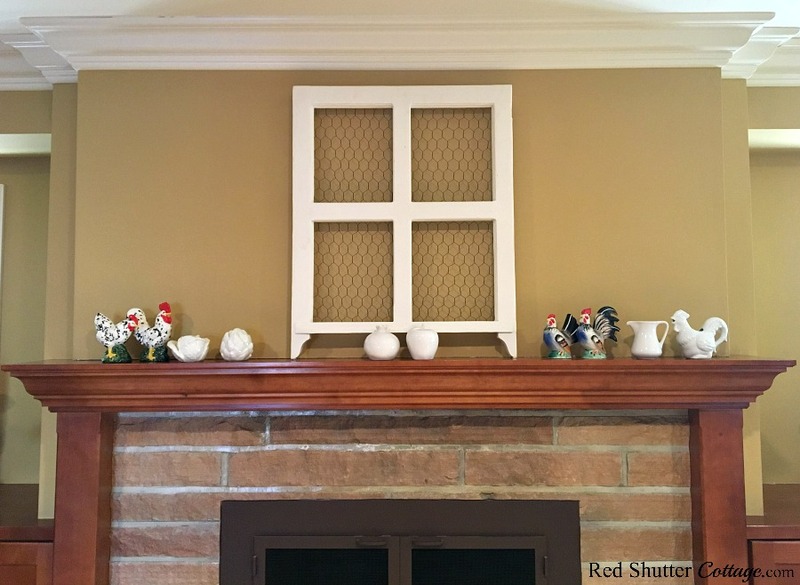 #2: Mantel decorations that are too small. Keep in mind the distance from which your mantel is typically viewed. 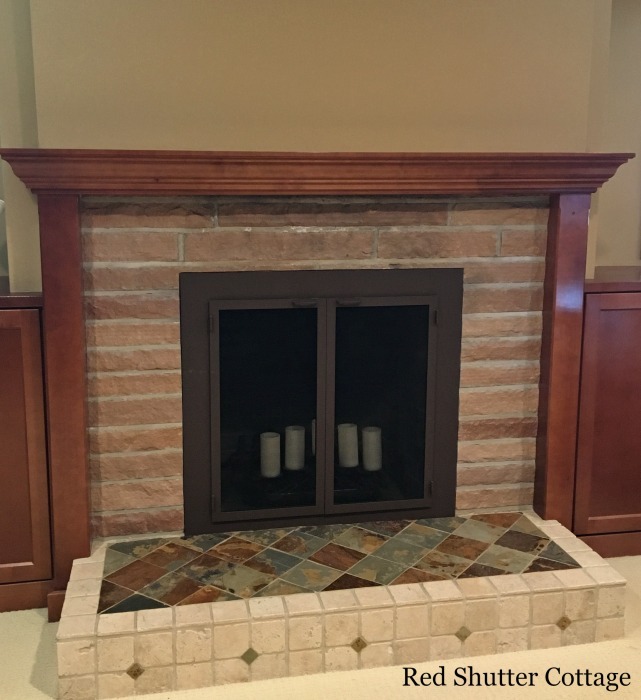 As a rule, the initial view of your mantel will be around 10 feet, or maybe more. Small decorations (3” to 6” high) will not have much visual impact, and your mantel will not really stand out the way you want it too. REMEDY: There are a couple of ways around this. 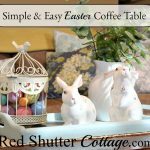 You can stack your small decorations on a pedestal of books, candle holders, or a dish with a stemmed base that elevates them (a compote dish or small cake plate). Another option is to mix smaller decorations in with larger sized pieces. This can be tricky though, so be careful not to let it look too busy. #3 Everything is the same height. When all accessories are the same height, the eye can get confused, and not know where to look first. There is no cohesiveness, although one would think there would be. But without a rhythm of shapes and sizes, everything blends together without any real impact. REMEDY: Collect and group items that have different heights. If your favorite items are all roughly the same height, use the trick above (books, candle holders, etc.) to elevate some pieces to create more variety in their heights. Using the rule of 3s, try to ensure that your pieces don’t stair-step up or down from each other. #4: There are too many colors. When there are too many colors, it creates a lack of cohesiveness. At best, it will look a little busy; at worst it may even look a little chaotic. 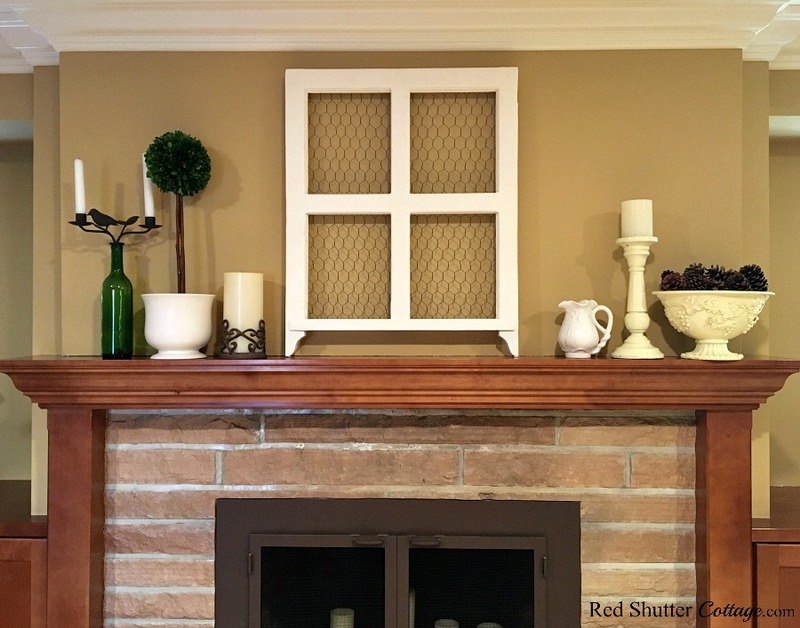 When building your mantel, step back and view it from the perspective of the whole room. 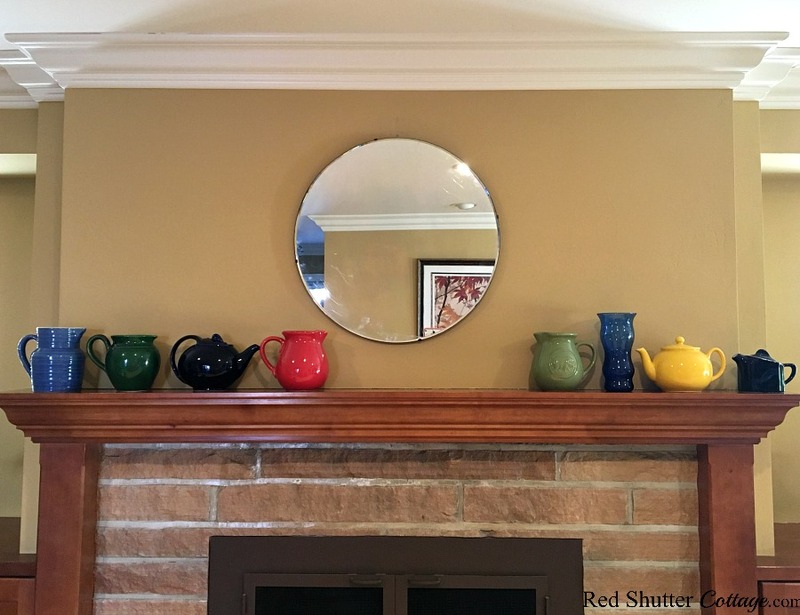 Be sure that the colors on your mantel are in sync with the colors in the room overall. Bright orange and turquoise on a mantel, in a room filled with calm neutral colors, may not create the effect you are looking for! #a: Keep all colors in the same value range. The colors can be either bright or muted, but mixing those two can look a little jagged. This is especially important if you are working with just a single color. For example, combining blush pink with hot pink won’t really work, even though they are both pink. But combining blush pink with a soft peach will work because their color values are the same. In this picture below, I thought I would be able to combine navy blue teapots with some blue and white patterned pieces. But as you can see, the dark blue is not playing well with the blue and white patterned pieces. The values of the blues are not in sync. #b: Your colors need to work together. It’s a delicate balance between contrast and harmony. On the one end of harmony, be careful that the colors look so much alike they blend in together. On the other end, too much contrast can be visually jumpy. That’s why using your neutral as contrast color (especially black or white) creates a balance that is visually pleasing. In this picture below, I revised my approach of trying to combine the navy blue with the blue and white patterned pieces. I pulled out the navy blue pieces and left the blue and white patterned pieces, and the white ceramic pieces. I added some greenery, and now the mantel looks a bit more cohesive with the white ceramic, greenery from the plants, and the blue and white patterned pieces. Symmetry is highly personal and has a wide range. But it IS a necessary component for a mantel to be visually pleasing. 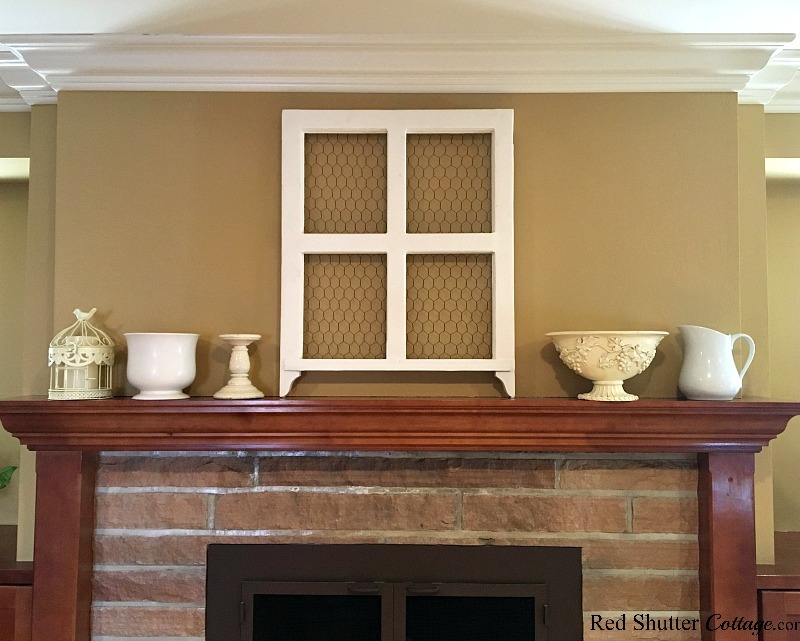 Without it, your mantel can look disjointed, lopsided, or even just unfinished. Remedy: Symmetry can be as disciplined as the exact same set of items flanking each end of your mantel. If the style of your home is founded on a classic traditional or mid-century look, exact symmetry may be the best way to go. And, at the opposite end, it can be a loose collection of unrelated items, that still present a pretty display of balance and organization. This is a good option for design styles that are a little more relaxed; cottage, country, farmhouse, or coastal. Both work beautifully and are completely a matter of taste. 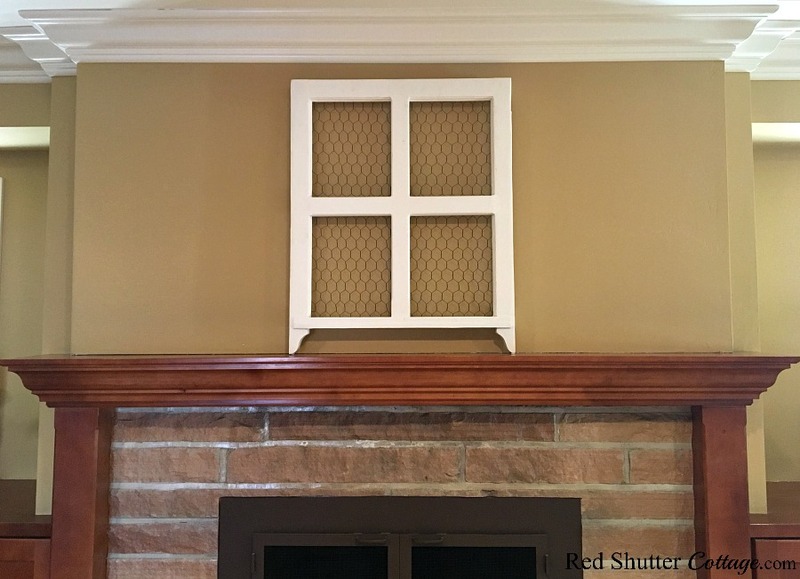 To recap: Keep your mantel color range between 1 and 3 colors, and ensure the colors are all the same value. Make sure your decorations are not so small that they lack impact; if they are small, elevate them to give them more presence. Include a focus point; the options for this are nearly endless! 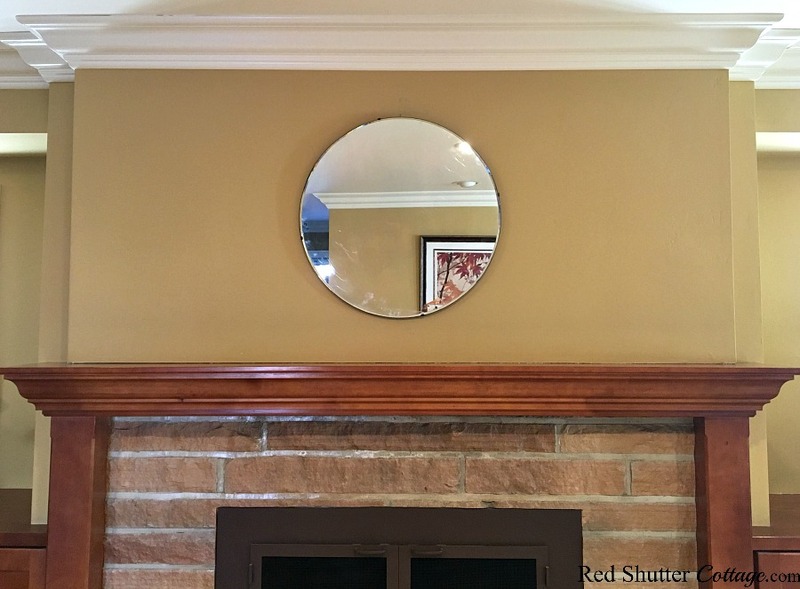 Ensure the mantel has symmetry and balance. Use differently sized accessories for visual interest. The beauty of this system is that you are free to choose decorations and accessories that speak to your taste and interests. And these guidelines can be applied to any seasonal decorating as well. However, it goes without saying that all of these are generalities. Sometimes it just works to have a parade of white pitchers marching down your mantel. Or a full row of glass vases filled with plants or flowers. Have fun testing, mixing it up, and playing around with your mantel! As long as it makes your heart happy when you see it, it’s perfect!! 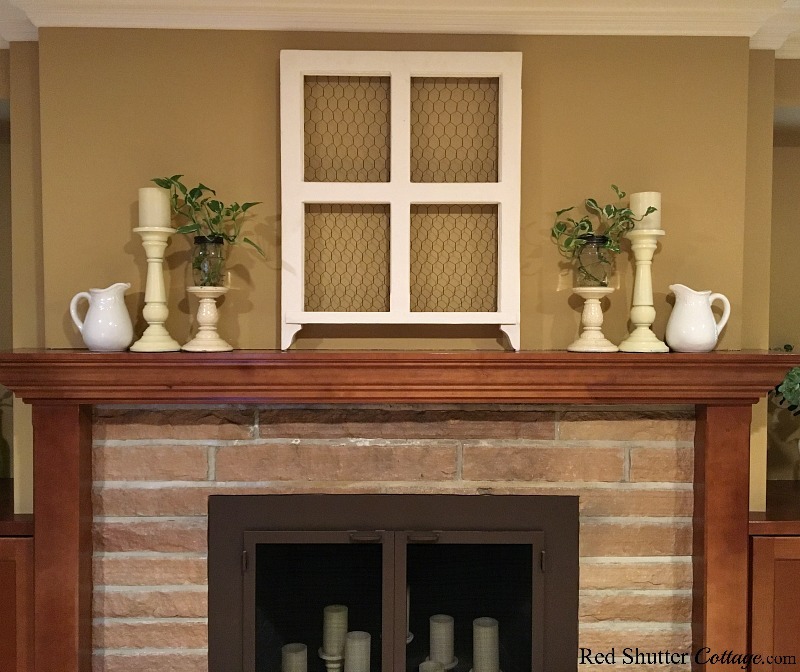 Here are links to a few mantels I have created recently. Fall 2016, Christmas 2016, Fall 2017, Christmas 2017. We have the tv over our mantel so there is no way to decorate. Plus husband has a sound bar across the back that can’t be blocked. lol I have the emptiest mantel that you have ever seen. That is a bit of a challenge – and I know a lot of people do place their TVs over the mantel. Is there room on either side for just a little decor? Thank you for stopping by, Victoria! 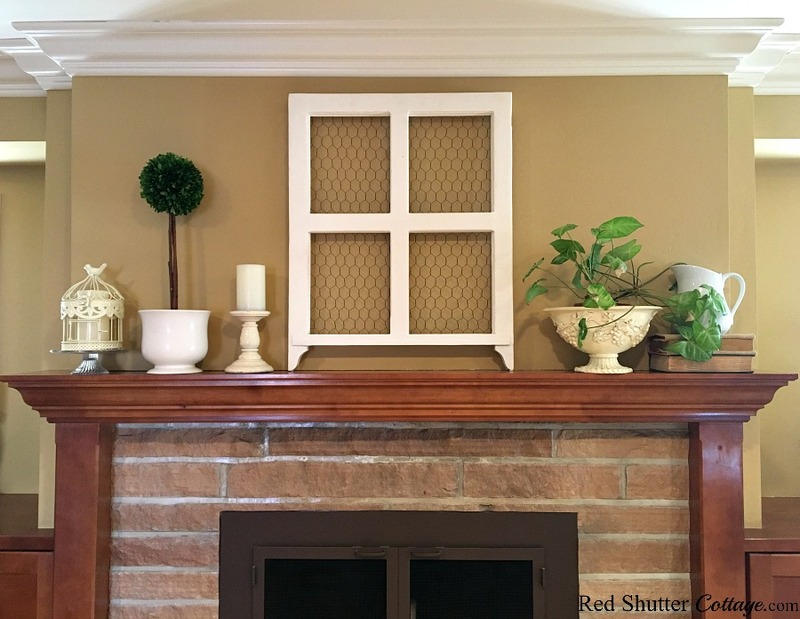 Kristine this is a really good, solid tutorial on how to decorate a mantel. Explaining why and then showing the difference with examples is so much more educating than a simple inspiration post. I am really impressed. Pinning. Thank you for your very kind words, Leanna. 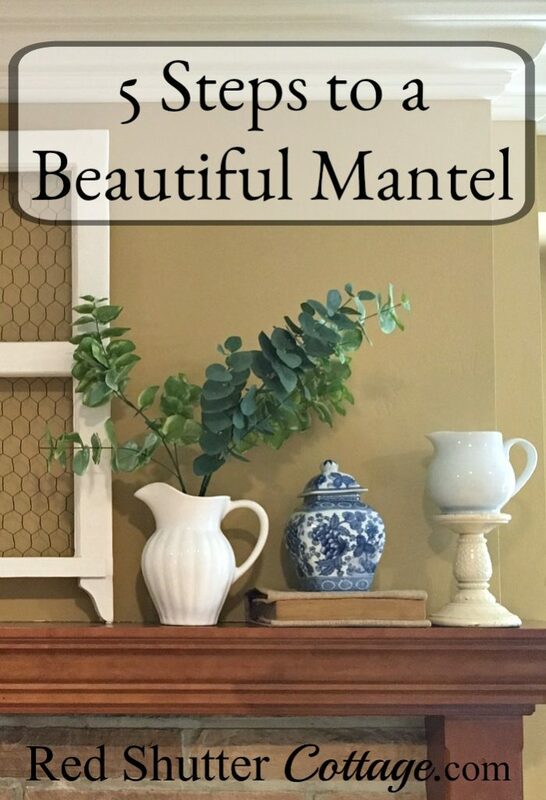 I wanted to try my hand at a more thorough type of tutorial, and mantels are such an important focus in a room. I appreciate your encouragement and hope this post really does help someone with designing their mantel. Very helpful hints! Our mantle is just over a year old and I have really struggled this year to come up with scapes I have really loved. Joanne – I am so glad they are helpful – that was entire point of the post! These are just parameters to keep in mind, but hopefully they provide a springboard that inspires your creativity! Thank you so much for stopping by! I really needed this because right now my mantel is bare. I did not have any ideas on how to decorate it after I took down the Christmas decorations. Another dilemma is my cat loves to jump up on the mantel so I have to be careful what I put on it. I will be taking your advice. Thanks for sharing at the Snickerdoodle Create Bake Make Party. Oh my gosh, Debra! Your cat jumps on the mantel!?! That is a big challenge!! Our ‘baby cat’ (he’s 6 years old!) is a climber and a jumper, but the mantel does not seem to interest him, thank goodness. I have really enjoyed sharing at the Snickerdoodle Create Bake Make Party – and look forward to continuing to do so in 2019! I love these ideas, Kristine!! I have been struggling with what to do with my mantle after I took the Christmas decorations down. Thank you for the inspiration! Lynne- I am so glad you find them helpful! I don’t need to tell YOU this, but it’s really all about putting in, taking out, moving around until it falls into place! And the fun is in the process! Thank you for stopping by! !